In Jain style of architecture, bricks were hardly used, and the system of carving out temples from rock faces was adopted. However, in later years when Jains discovered the concept of `mountains of immortality’, they proceeded to deviate from Hindu and Buddhist sites and build on their own. 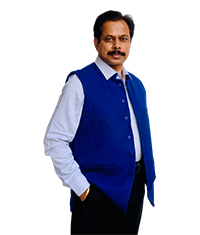 An important aspect to be noted is that Hindus and Buddhists built temples, Jains built temple-cities on hills. To put it in their own words, they "ornamented these holy hills with a crown of eternal Arhat chaityas (tabernacles of saints) shining with the splendor of jewels." Compared to the number of Hindu temples in India, Jain ones are few and spaced out. The latter used to tear down their older, decaying temples and build new ones at the same site. On the other hand Jain temples had a certain militant aura around them, probably because of plunderers who may have carried away riches. Surrounded by embattled walls, the Jain temples are divided into wards in a manner similar to fortified cities with parapets and niches to repel armed aggression. Each ward in turn was guarded by massive bastions at its ends, with a fortified gateway as the main entrance. The reason being that Jain temples are the richest temples in the world, surpassing even Mughal buildings in terms of grandeur and material wealth. These temple-cities were not built on a specific plan; instead they were the results of sporadic construction. Natural levels of the hill on which the `city’ was being built accommodated various levels so that as one goes higher so does the architecture and grandeur increases. Each temple, though, followed a set pattern, styles, designed on principles of architecture in use during the period. The only variation was in the form of frequent chamukhs or four-faced temples. In these the image of a Tirthankar (fordmaker) would face four sides, or four Tirthankars would be placed back to back to face four cardinal points. Entry into this temple would be from four doors. The Chamukh temple of Adinath is a characteristic example of the four-door temple. Built in 1618AD on the site of an older structure, it houses a 23 sq feet cell chamber. One doorway leads out to the assembly hall in front while the other three have porches leading into the main courtyard. Usually the exits lead into a series of columned chambers into the central halls of the temple. These columns, standing around for no apparent purpose, might make the place seem like a mindless labyrinth, but on closer scrutiny it becomes evident that there is a style and method in it. Simply put, these are temples within a temple, divided into sanctums and surrounded by a range of chapels and shrines, and the maze of columns act as a defense against plunderers. The principle impression gathered from these temples is the variety of their sections but in harmony with each other. The pointed spires above each dome is different, yet it signifies the position of a chapel, hall or any other chamber inside. From the architectural perspective, Jain Temple-cities seem to be rather cold compared to Hindu or Buddhist temples. 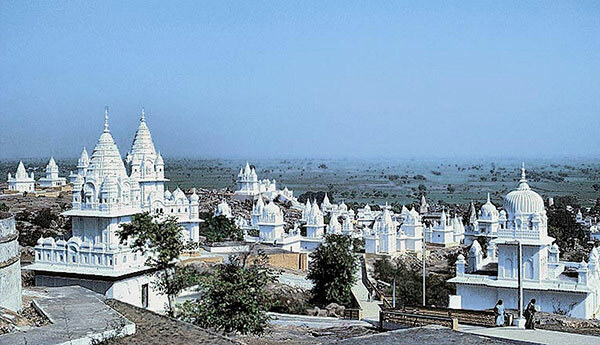 However, in Ranakpur and Mount Abu in Rajasthan are found the most spectacular style of all Jain temples. 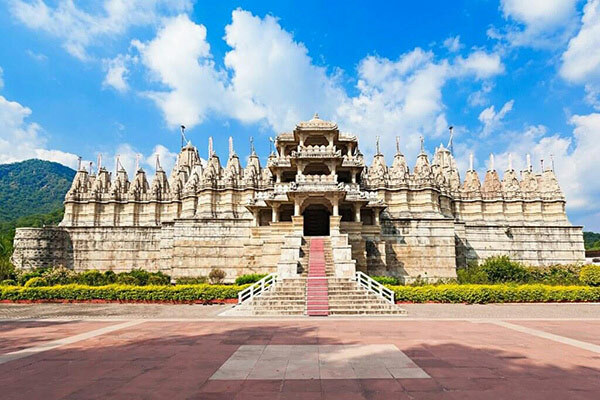 The Ranakpur temple is built in white marble and the main chamber is supported by finely carved columns, totaling 1,444 in all.